We wish you all a happy and prosperous 2012. Wir wünschen euch allen ein gesundes und erfolgreiches Jahr 2012. Nous vous souhaitons à tous une heureuse et prospère 2012. Les deseo a todos un feliz y próspero año 2012. Σας ευχόμαστε μια ευτυχισμένη και ευημερούσα 2012. Auguriamo a tutti un felice e prospero 2012. Desejamos a todos um feliz e próspero 2012. Wij wensen u allen een gelukkig en voorspoedig 2012. Życzymy wszystkim szczęśliwego i dostatniego 2012. Við óskum ykkur öllum gleðilegs og velmegandi 2012. Vi ønsker dere alle en lykkelig og fremgangsrikt 2012. Toivotamme kaikille onnellista ja vauras 2012. Vi önskar er alla ett gott och framgångsrikt 2012. אנו מאחלים לך את כל 2012 מאושרת ומשגשגת. Global warming is not only discussed in the news on a daily basis, we can feel it, too. The summers are too cold with too much rain and winter is too warm and there is never enough snow. But since ice is made of water, and rain turns into snow at a certain temperature, three clever inventors thought of a way to solve this problem. Back in 1950, Art Hunt, Dave Richey and Wayne Pierce invented the snow cannon and went on to patent it. 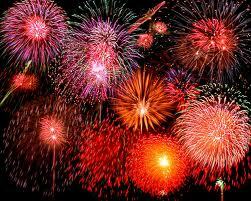 By forcing water and pressurized air through a cannon, artificial snow flies out. Indoor ski slopes use this method and many ski resorts make their season more reliable and longer. 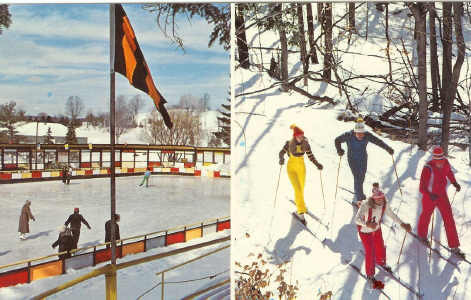 The first resort to earn a place in history and use artificial snow is Grossinger’s Catskill Resort Hotel. 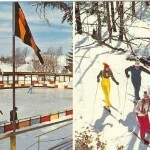 It was a family run hotel in the Catskill Mountains near Liberty, New York. Jennie Grossinger was the hostess in this hotel for many years. In 1952, Jennie decided to use artificial snow to attract more guests. The plan worked and the hotel quickly grew to a 35-building resort, serving 150,000 guests every year. Rocky Marciano is one of the best known regular guests, who would come and train at the resort during his fighting days. Snow making has become more and more complex over the years to make it more efficient and the snow to last longer. 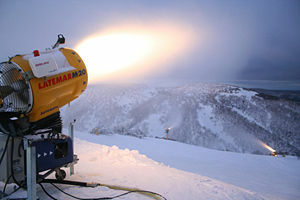 Snow cannons are found in nearly every winter resort today however, they have a high energy and water consumption. How Can You Inspire Someone This Year? Christmas is coming up soon and you are still looking for a present to inspire the children in your life? Many children are great inventors without even knowing it. They have always been making toys, gadgets or tools to simplify their daily chores. Schools are encouraging these talents by offering contests or special programs. 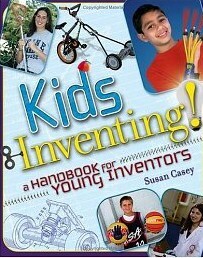 If you want to support your young inventors, the book ‘Kids Inventing! A Handbook for Young Inventors’ is a great present to find under the Christmas tree. Stories of other kid inventors are truly inspirational. Hard work and most importantly, a lot of fun helped these kid inventors bring their ideas to life. Kids and parents can learn more about competitions, patents, protection of intellectual property and many other details related to inventions. Tips from other kid inventors will help them believe in their ideas and show them an easy way to become a real inventor. There are many competitions to enter and awards to win, so let’s get them started. 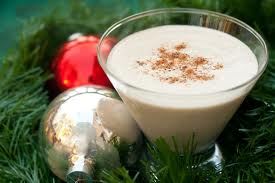 Eggnog is a popular drink during the winter season throughout the United States and Canada. For many of us, it is associated with winter celebrations such as Thanksgiving or Christmas. It’s a sweet, dairy-based drink made out of milk or cream, beaten eggs, sugar and liquor. Brandy or whiskey can be used, but the most popular choice is rum. But where does it come from? There are debates about the origins of Eggnog. It may come from East Anglia, England, where it was enjoyed by aristocrats around the 16th century. Another story tells us that it comes from a medieval European beverage made out of milk which was called posset. The origin of the word nog is also debated. It might come from the work noggin, which is a Middle English term to describe a wooden mug to serve alcohol. Another story is that the original name was egg and grog, then shortened to egg’n’grog and then to eggnog. The drink apparently came across the Atlantic Ocean in the 18th century and landed in the English colonies. Since rum was rare in war times, brandy or bourbon was a popular substitute. Every year, there are various exhibitions and trade shows around the world, where inventors can get in touch with partners for licensing, marketing and manufacturing of their product or invention. One of the largest trade shows in the United States is INPEX Inventions and New Products Exposition. In 2012 it is taking place from June 13 – 15, at the Monroeville Convention Center in Pittsburg, Pennsylvania. It is also called „The Invention Show“ and gives a showcase to inventors to present their patented products to well know investors and industry representatives. Additionally, INPEX offers learning opportunities to every inventor. They can attend different events from seminars, presentations and panel discussions to learn from fellow inventors and key note speakers. The latest news and information is published by the director of INPEX, Karen Hait, on her blog. Winter is the best time for a hot cup of tea when it is cold and dark outside.The first stept is to decide between loose tea or just a tea bag. The tea bag has a long history. The first tea bags were hand-sewn and made out of silk. They appeared commercially in early 1900. Thomas Sullivan was a tea merchant from New York, who successfully marketed the tea bags and shipped them around the world. The rectangular tea bag we know today first appeared in 1944. But for tea lovers, the tea bags which are available in the supermarkets are not always a favorable option. A tea infuser filled with loose tea serves a better quality when all you want is one cup. In trademark history, December is also the birth month of Walt Disney, the famous inventor of Mickey Mouse and many other characters as well as animated films, who was born on December 5, 1901. One of his well known inventions is the multiplane camera.With this new technique he created a better looking, richer animation for the audience. This new camera used stacked planes of glass, each painted with different elements of a cell animation. The multiplane allowed the animator to re-use the same background, a moving foreground, combined with other elements not in motion, saving hours of labor. It moves a number of pieces of artwork past the background at different speeds and at different distances. This creates the three dimensional effect when bringing the characters to life. On December 21, 1937, Disney’s first full length animated movie production “Snow White and the Seven Dwarfs” was trademark registered and premiered to the audience the same day. 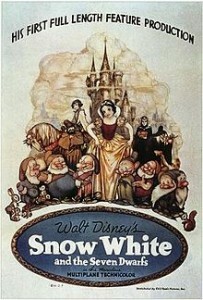 Many other productions followed over the years such as Pinocchio, Fantasia, Bambi and Peter Pan. Walt Disney became not only a famous producer, but also an entertainer and international icon. He died on December 15, 1966, aged only 65. 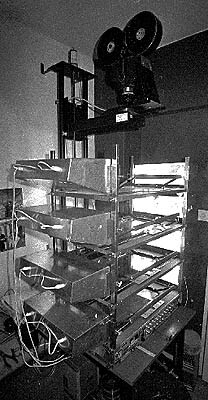 The Little Mermaid was the last film produced by using the multiplane camera in 1989, since the era of computer animation had already begun at the time. The cameras can be seen at the Disney Family Museum in San Francisco. Most inventions and ideas that were introduced lately always aimed at making life easier and helping us simplify daily routines. For example, how to pick up after your dog or how to efficiently cut your pizza without messing up the topping are only two examples that brought great products to the stores. But what about inventions that changed our lifes a long time ago? There are many life-altering inventions we now take for granted. One of them is the remote control. 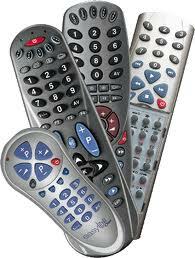 Let’s face it, there is a remote control for nearly everything in our lives. The TV and radio, the lights around the house and garden, and the garage door are just a few things we have to switch on and off regularly. In the old days, one would walk around the house to do all the switching on and off. With the help of the remote control, you can just stay in your seat, on the sofa or in the car and operate them by pressing buttons. The earliest remote control was developed in 1898 by Nikola Tesla, a Serbian – American Inventor. He filed a patent for a “teleautomaton” describing an Apparatus for Controlling Mechanism of Moving Vehicles. 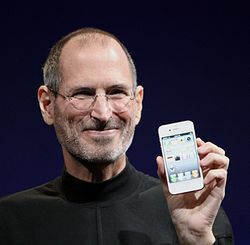 He showed his invention to the public the same year and demonstrated a radio-controlled boat in Madison Square Garden. The first remote to control a television was introduced in the 1930s, but it was still wired. A wireless remote control for a television was first developed in 1956 using infrared light. Coming up to Christmas, toy stores are stocking up their inventory to make sure that all wishes can be fulfilled. The Barbie doll, one of the most famous toys in American history was designed by Ruth Handler, women inventor and co-founder of Mattel. When Ruth watched her daughters play with their paper dolls, she noticed that the children used their dolls to act out the future more than the present and they would act like the dolls were adults. So Ruth decided to invent an adult three dimensional doll that would help the girls act out their dreams and imaginations. This doll was often criticized to have unrealistic body proportions but shortly became an icon of American culture. Ruth named the doll after her daughter’s nickname Barbie. 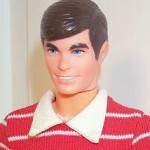 The male counterpart doll which soon followed was called Ken, after her son. In 1959, the Barbie doll was presented for the first time at a toy fair in New York City and was an instant hit. 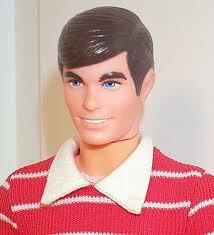 But Barbie also had a full name, Barbie Millicent Roberts, and was from Willows, Wisconsin. She started to be a teenage fashion model. However, it is said that over the years, Barbie had approximately 125 different jobs. 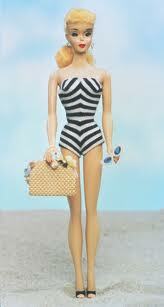 The first Barbie was sold at $ 3.00, additional clothing cost $ 1.00 – $ 5.00. Her clothes had been designed by 170 different designers. Barbie remains Mattel’s best-selling product to date. Barbie and Ken just turned 50 this year. Here is to many more.